The Munch-N-Done ® is absolutely ideal for the trail riding enthusiast, it puts the pleasure right back in the ride. Many horses will actually stop trying to nibble just minutes after the Munch-N-Done ® is put on. 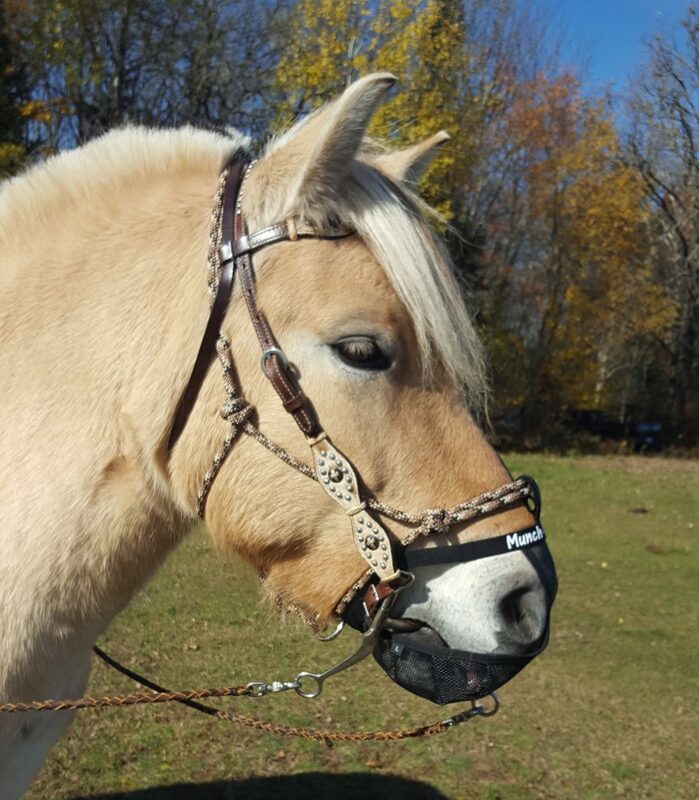 The Munch-N-Done ® is lightweight, and a completely non-restrictive anti-grazing riding muzzle. 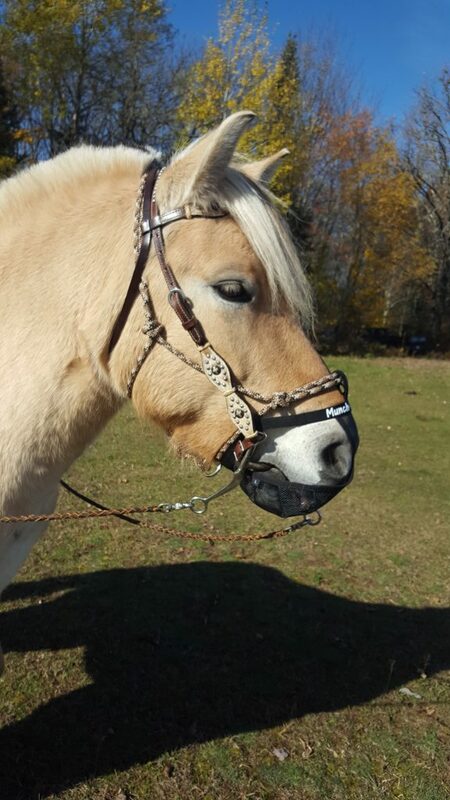 Horses can easily breathe, drink, yawn or whinny while wearing their Munch-N-Done ®. 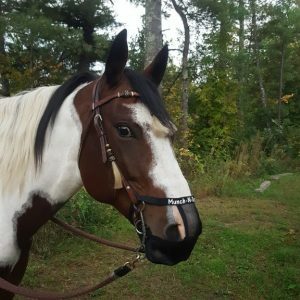 Get the FOCUS back, and stop worrying about your horse grabbing at every single thing it can reach, and at times, even things they can’t reach! 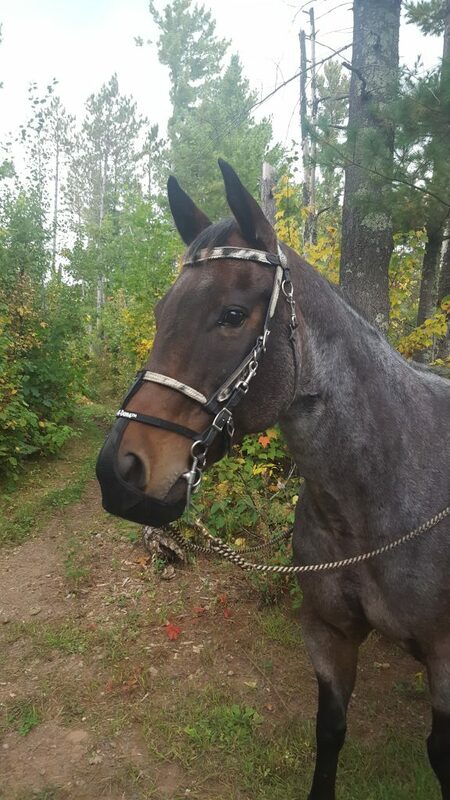 Absolutely ideal for the trail riding enthusiast, it puts the pleasure right back in the ride. Many horses will actually stop trying to nibble just minutes after the Munch-N-Done ® is put on. 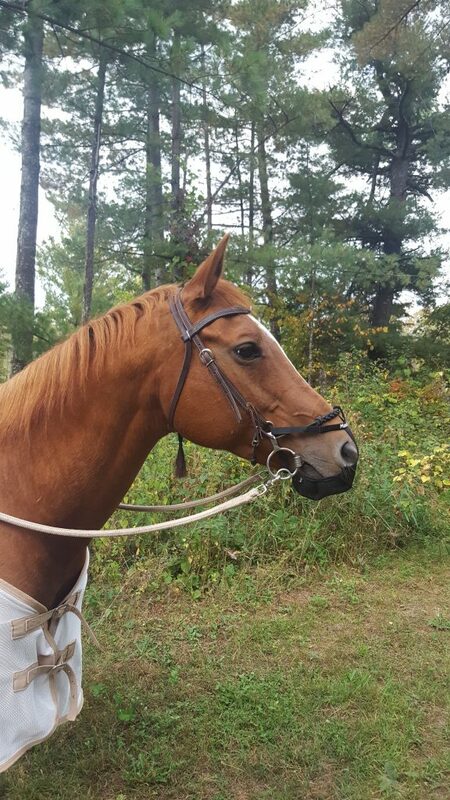 Optional NoseBand Loop is available for an additional $2.00.